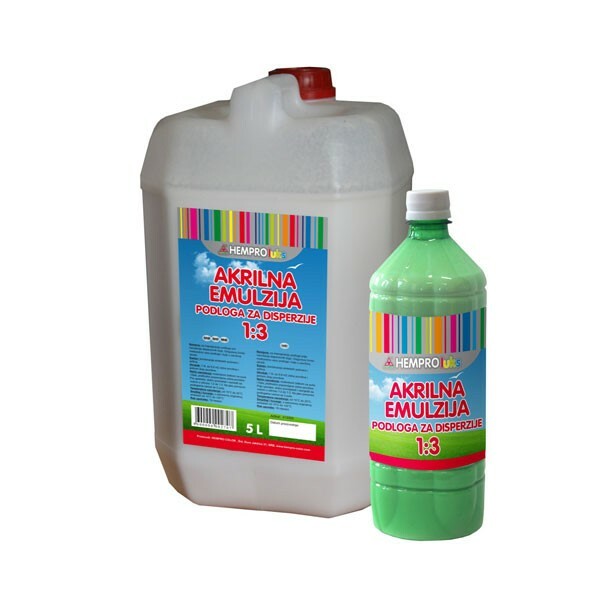 Use: It is used for the substrate impregnation prior to the application of dispersion paints. It assures a solid interacting bond between the substrate and paint in the finishing process. Composition: Combination of synthetic polymers and additives. Coverage: 1 lit. is sufficient to cover a wall surface of 5 - 8 m2 in one layer. Method of application: It is applied with a wall painter’s brush on thedry, clean and previously prepared wall surfaces. Stir well and dilute withwater in the ratio 1:2 to 1:3 prior to the application. Apply two coats on very porous substrates. Application temperature: from 15°C to 25°C. Packaging: 1 lit. and 5 lit.